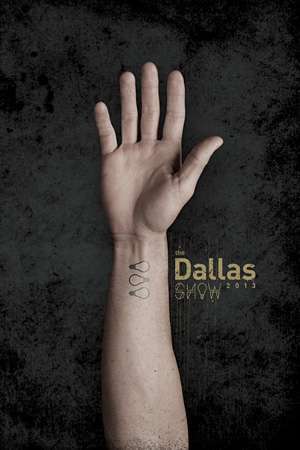 Make your mark at the 2013 DSVC Dallas Show! June 01: It's time for the 45th annual Dallas Show. Roll up your sleeves and compare ink with the best in town! Join Master of Ceremonies, Chris Smith, at Hotel Palomar for a seated dinner, full consumption bar and a showcase of the year?s most unforgettable work in design, advertising, photography and illustration. Tickets to the 2013 dallas show are SOLD OUT. we will have walking tickets for sale at the door the day of the show that will include consumption bar, gallery viewing and the awards presentation for $50. Please note, this ticket EXCLUDES the seated dinner during the awards presentation. This is a standing room only ticket. Should you wish to book a reservation they are offering a 15% discounted rate from our advertised rate for DSVC members that are coming to the Dallas Show. Please log on to www.hotelpalomar-dallas.com in the reservations drop down please enter the code CAT in the rate code / business ID box, and press book reservation for the discounted rates to apply.